Bud's Auto and Transmission is your one-stop shop for all things Mountlake Terrace Car Repair! Brakes squealing just to come to a routine stop? Got a ticking under the engine that you just know can't be good? Worried about getting from Point A to Point B? 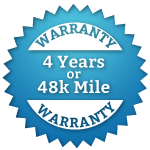 If you are in need of Mountlake Terrace Car Repair, there's one trusted solution that can take care of all these needs and more! Bud's Auto Repair and Transmission have seen it all and we're eager to help you out of whatever automotive jam you find yourself in. With the right knowledge, wrenches, belts, and fluids to keep any car, truck, or SUV on the road, Bud and his crew remain the number one choice when it comes to auto repair in Mountlake Terrace. You oughta see the shop that Bud's put together. In order to keep the most vehicles on the road, he's assembled the right team of highly-qualified mechanics that fix issues right the first time. You'll never have to worry about bringing your vehicle back in for the same problem.